A few weeks after receiving its first update, the Tizen-powered Samsung Z3 smartphone - which was launched last month with 5-inch 720p Super AMOLED screen and a quad-core 1.3GHz processor- is getting another software update. 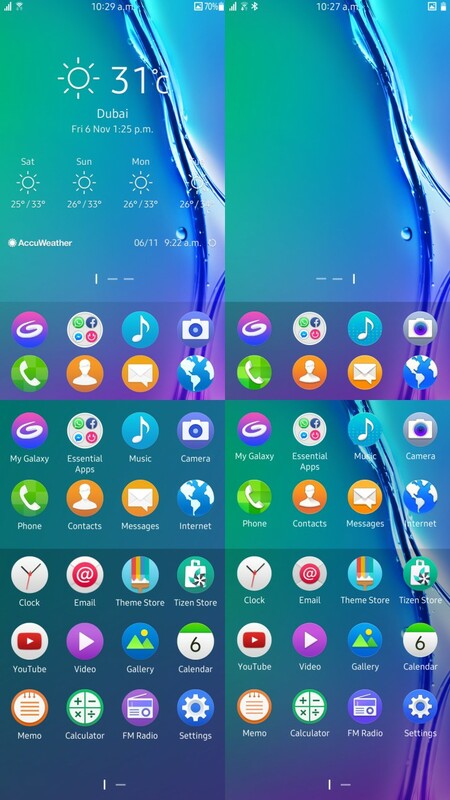 Weighing in at around 600MB, the update (which you can fetch through Samsung Smart Switch as it doesn't seem to be rolling OTA currently) doesn't bring any major changes - a few new icons have been added and there seems to be some change in the screen brightness (see the right hand portion of the image above). For those who aren't in the know, the Z3 is the South Korean company's second smartphone running its home grown Tizen OS. The first one - dubbed Z1 - was launched back in January this year, and has been quite a success for the company. A recent report from market research firm Strategy Analytics revealed that Tizen has now overtaken BlackBerry OS to become the fourth largest mobile operating system in the world.